Do you know a child who is consistently unruly, disrespectful, disorderly, rude, or arrogant? One who, if invited to your home, might help himself or herself to your things without asking and act as though he or she deserves to be served? One who makes messes and expects others to clean up after him? One who seems to be the “tail that wags the dog” in his or her family and obviously has few boundaries? I think we all know or have known such children. I vividly remember some out of control children that I babysat shortly after I graduated from high school. They were the type of kids that would give a person nightmares. One ran away and hid from me; I finally found him next door. Another pooped in his bed and smeared it all over the place, and he was plenty old enough to know better. You get my point. Needless to say, I declined ever to babysit for that family again after the first horrible experience. 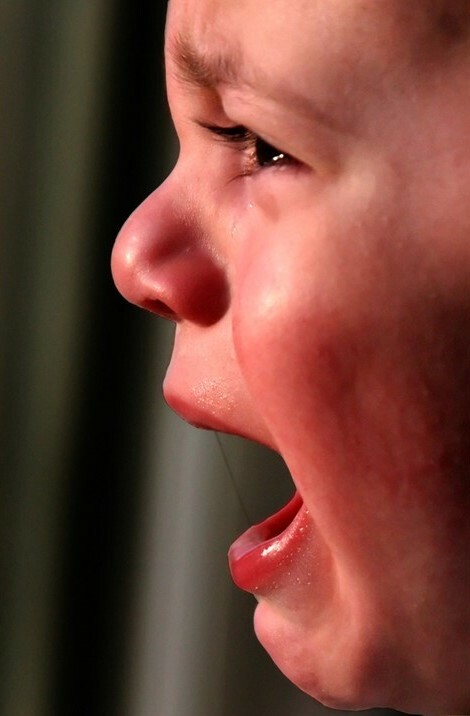 Certainly all children have their “moments” when they are out of control or have meltdowns. Heaven knows that mine do at times, but some children seem to be characterized by poor attitudes and unruly behavior. This makes me think of an Andy Griffith episode. A new family has moved to town, and Opie has befriended the son. The boy is obviously spoiled rotten and isn’t used to being denied anything that he wants. He rides his bike on the town sidewalks and then scoffs and continues doing it when Barney (the deputy sheriff) tells him that it isn’t allowed. He teaches Opie that the way to get what you want is to lie on the floor and scream and cry until your parents give in. Finally, Andy and Barney confiscate the boy’s bicycle. The boy brings his father to the sheriff’s office to retrieve the bike. At first, the father is insistent on having the bike back, and his son lays on the manipulation thick. Then Andy helps the father to see through the boy’s trickery and encourages him to take his son out behind the building to the “woodshed,” implying that what the boy needs is a good, old fashioned spanking. Proverbs 20:11 tells us that “Even a child is known by his actions, by whether his conduct is pure and right.” That is a very heavy verse for me, and it brings with it a huge responsibility for all parents. Society often gives the message that “kids will be kids,” or that we can expect bad behavior from children because they are young. I think there is some truth to that. Certainly children will display “childish” behavior because they haven’t yet gained the maturity and wisdom to make good decisions. But the job of training our children in godliness begins when they are born. Every day contains multiple learning opportunities for guiding our children in righteousness, and even young children can begin to display qualities associated with godliness: love for others, patience, generosity, respect, kindness, self control, and so forth. Trevor and I went through some training classes on child rearing before we even had kids, because we wanted to be as prepared as we could be to “train up our children in the way that they should go.” Of course we could never be completely prepared for parenthood until we actually had kids. We’ve been parenting now for over 12 years, and we have realized that some of what we learned wasn’t the best for our children, and we have changed course. However, much of it has helped us to parent intentionally and more effectively than we would have if we had been flying by the seat of our pants. A point that was stressed in the training was that one of our main goals as parents should be that our children are a joy to others. We want them to be polite and respectful around others so that people don’t cringe when they see them coming (you catch my drift, don’t you?). We want them to be calm and respectful in stores so that they don’t annoy other customers (we’ve certainly had big failures on that front before!). This all boils down to whether we are training their hearts the way that God wants us to. We realize that parenting our children is the most important responsibility that we will ever have, and we have only one chance to get it right. There are no “do-overs” with our kids. And we have only a short time to complete their training, because they will be grown and out of our doors before we know it. I am shocked beyond words when I think about my oldest being 12 already. In just a few short years, he will be a man and on his own, with the other three soon to follow (at least that’s the goal, right?). My encouragement today is that, as parents, we be very intentional about parenting our children while they are still in our care. Let us take every opportunity to teach them the moral reasons why they should choose the behaviors that we require. Let us confess our mistakes to them and ask for their forgiveness, so they will learn to do the same. Let us model respect for our elders and show them how much wisdom we can gain from older people, to turn the tide of disrespect that so many young people display toward the aged. Let us require them to participate in family responsibilities so they will learn to be productive and self-sufficient adults. Most of all, let us instill in them a sense of God’s great love for them and model ways that we can share His love with others. This entry was posted in Encouragement and tagged children, Christianity, encouragement, family, Jesus, marriage, motherhood, parenting. Bookmark the permalink. You’re right, Brittany. It is TOUGH! I’m so thankful that the Lord is with us on this journey. He is the ultimate parent. Your girls are lovely, and they have a fabulous mama! I can not believe you wrote an entire blog post about my children. Such nerve. 😝😝 but seriously thanks for this reminder about being intentional. It’s so much easier, especially with my strong-willed youngest, just to give in to whatever he is demanding. But allowing him to become a spoiled tyrant only hurts him in the long run. Thanks for the encouragement!